Senator John McCain and his wife Cindy celebrate their 37th wedding anniversary. Despite Senator’s health issues, he didn’t forget to send a sweet message with the warmest wishes to his lovebird. Happy anniversary, John and Cindy! 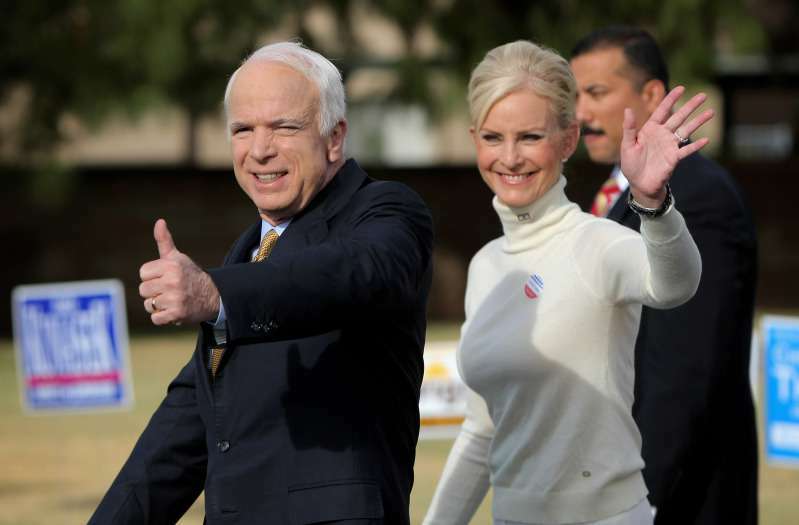 On Thursday, John and Cindy McCain celebrated their 37 years of marriage. Sounds awesome, doesn’t it? Happy 37th anniversary to my love @cindymccain – time flies when you’re having fun! What an incredible and fascinating life we have had together! What a great unit of two loving hearts! Despite John’s health issues, Cindy always stands by his side and supports her husband amid cancer battle. We have no doubt Senator will recover soon due to love and support of his wonderful wife. Happy 37th anniversary, John and Cindy! We wish you nothing but sunshine!